Social media is a part of our daily lives. 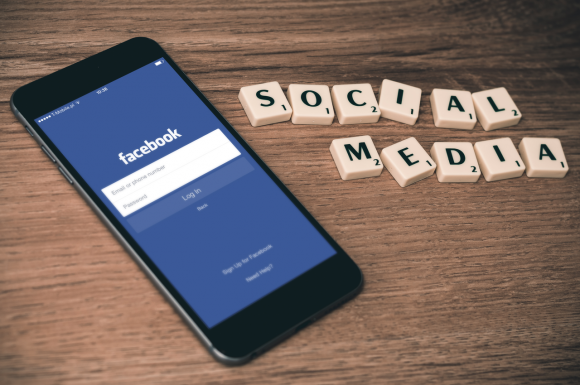 Whether you’re using it to build your business or to stay connected with friends and family, chances are, you interact with social media on a regular basis. And even though these platforms are such a part of our daily lives, I continue to see people mis-using, misunderstanding, and just plain missing out when it comes to social media. Above all, the number one thing to remember is that people are looking at your page. You may not notice; they may not comment, like, or share. But they see the photos you post on Instagram, the links you share on Twitter, the status updates on LinkedIn. Potential customers, your co-workers, and future employers all gain insight into your life through your social media platforms. What do you want them to see? Stop Complaining. No one wants to talk to or work with Eeyore. There’s nothing appealing about a “woe is me” routine. I see too many people complaining about their jobs, their families, their friends, and their overall life on various social media platforms. And you may think you’re not friends with your boss on Facebook or your Twitter account is private so no one sees. Wrong. Your boss now may not see, but what about a potential boss? What about future customers? Those people may already be in your network and they may not want to work with you based on your negative attitude. I do want to add that complaining is different than honesty. Not complaining on social media doesn’t mean everything you post on social media should be #winning. It’s okay to honestly address challenges you’re facing or road blocks you’ve hit. The difference is in the framework. Complaining is when you place blame on others and expect them to create a solution. Speaking honestly about obstacles is stating the situation and providing a possible solution which you have control over. There isn’t a huge difference between these posts – they both express frustration about working late at the office. But the first one places blame and an ultimatum while the other is strictly an honest observation that presents you as someone who’s solution-oriented and offers the opportunity for others to share their experiences in navigating similar challenges. Stop Focusing Inward and Focus Outward. I’ve said it before, but it deserves to be said again: serve more than you sell. If all you do on social media is talk about yourself, your family, your job, and your life, you’re going to turn your audience off. We’ve all been at the cocktail parties, stuck in a corner with someone talking to us rather than with us. Don’t be that person. Instead of viewing social media as a document of your life and what you’re doing, use it as a resource for your followers. Don’t just post a photo of your latte art and morning muffin, let people know where you are and that they have $1 coffee every Wednesday. Instead of only sharing your thoughts on the latest Netflix original, start a conversation and find out what your followers think. There are people on the other side of your posts and it’s important to acknowledge them and help them to feel like they’re a part of your community. Stop Over-Sharing and Under-Sharing. Deciding how much of your personal life to actually share on social media is a difficult balance to strike. On one side, you don’t want to share the nitty gritty personal details of your day-to-day. On the other, you don’t want to keep your followers at such an arm’s length that they don’t know who you really are. For the first end of the spectrum, ask yourself, “Would I share this post with an acquaintance at work, my kid’s teacher, or my neighbors?” If the answer is no, then you’re oversharing. Some may think letting people in to every aspect of your personal life – whether it’s your marriage, money, or emotional problems – brings people closer together, when in fact, it often alienates people. If someone I don’t know that well starts talking about their money problems at a cocktail party, I find myself slowly backing away and looking around the room for someone to save me. The same thing happens on social media. Rather than draw people in, you push people out. On the flip side, if you don’t share any aspects of who you are as a person, people will see you as fake and one-dimensional. You need to let people in a little bit in order to earn their trust. The same is true in real life. We all know those people who put on a front or “persona” when they’re out in public and you never feel like you’re able to truly know them. Those aren’t people you trust and they certainly aren’t people you’d choose to do business with. To weigh whether or not you’re under-sharing, ask yourself the same question: “If I told this to an acquaintance at work, my kid’s teacher, or my neighbors, would it feel authentic?” If the answer is no, then you’re under-sharing and should move to something a little more real. There are many other social media taboos, far too many to include here, but if you look closely, most of the no-nos fall into one of these three categories. Nonstop selfies and blatant self-promotion are caused by focusing inward, not outward. Incessant tweeting about everything you saw, ate, drank, did, etc. is oversharing. 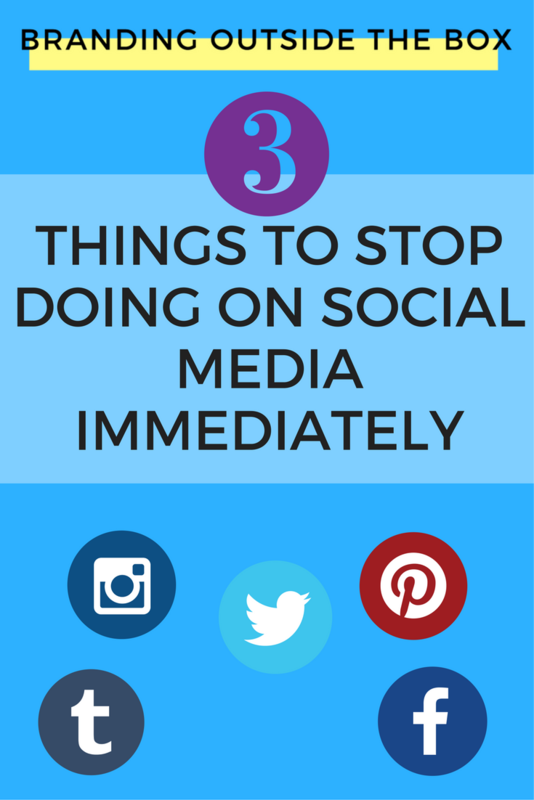 If you stop doing these three things, and concentrate instead on using social media to build authentic relationships, you’ll avoid most social media mishaps and create an interested, engaged following.